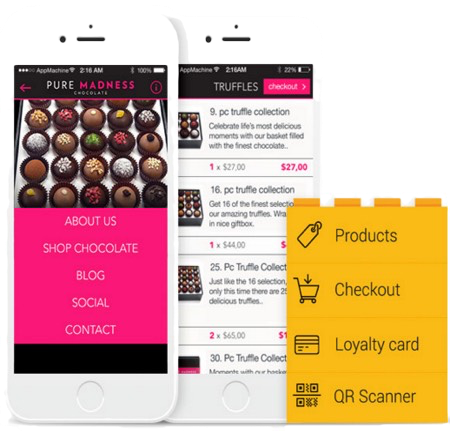 The Pure Madness Chocolate Mobile App was designed in its company colours, black and pink, and looks great. It’s just tap on a smartphone or tablet to access the many features that were added to this app. For example, people can browse the Pure Madness Chocolate catalogue and buy right from the app with the Products and Checkout Features. Click on the following image to see its listing on the Apple App Store and download this app and treat yourself to some Pure Madness Chocolates. Apps Noticedwebsites designs can be customized to any type of business with its colours, branding, logo and images. Select from 40+ features for your app. The first four features are FREE and pay a nominal monthly hosting fee for the app starting from a $40 introductory fee to be listed on the Apple iTunes App Store or Google Play App Store. 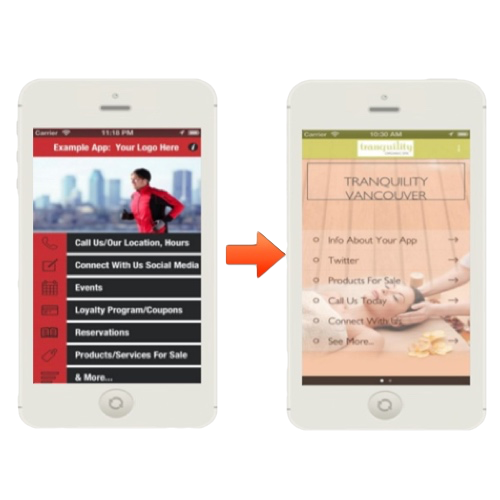 Click on the following image to see a larger image of a generic mobile app customized into an mobile app for a spa.